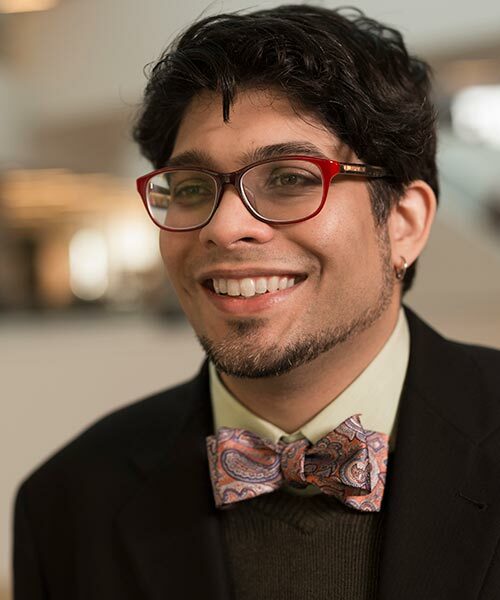 Syed Adnan Hussain is an Associate Professor of Religious Studies at Saint Mary’s, with a particular interest in modern Islam in South Asia and North America. He has extensive experience working with not-for-profit groups, including the Kenya Human Rights Commission and the LAWS program at the University of Toronto Law School. His other areas of interest include: Islam in North American since 9/11, human rights law, film, post-colonial theory, modern Islamic law, Islam in South East and East Asia, gender and queer theory, juvenile delinquency, and the laws of apostasy and blasphemy. Dr. Husain holds degrees from McGill University; the Candler School of Theology and Emory University School of Law in Atlanta, GA; and the Ph.D. in Religious Studies from the University of Toronto.